We’re happy to announce we’re playing Friday night at the Pompey Rumble. This will be a double birthday party (one for our drummer!) in Marseille, France. Some great french Psychobilly on the line-up: Great Smuc Zarma Orchestra, Devil Crockett, Ongle et ses incarnés and us! We’re playing with The Retarded Rats from Germany and Dead Cat Stimpy from Holland and Boston Rats at the Hope & Anchor in London Islington. Same line up, same people, at the Hope & Anchor in London this time! 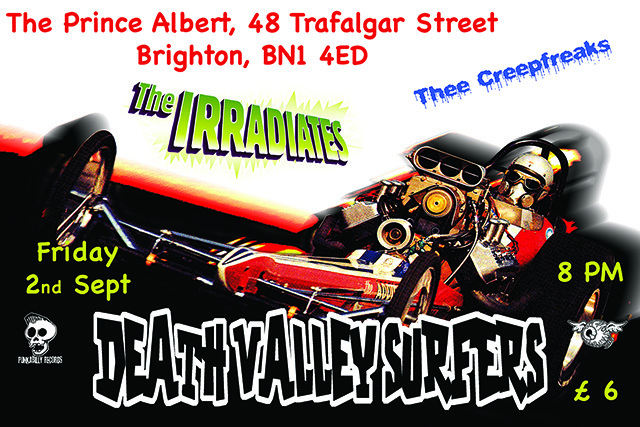 We’re playing on the 2nd of April at The Price Albert in Brighton with our friends Chubby La Touche and Death Valley Surfers. We’re on for support for Demented Are Go and Mojo Kings at the 100 Club in central London on the 6th of February. We’re supporting Death Valley Surfers and Chubby La Touche at the Hope & Anchor in Islington on the 30th of January. 09/01/2016 - Happy Birthday Elvis! 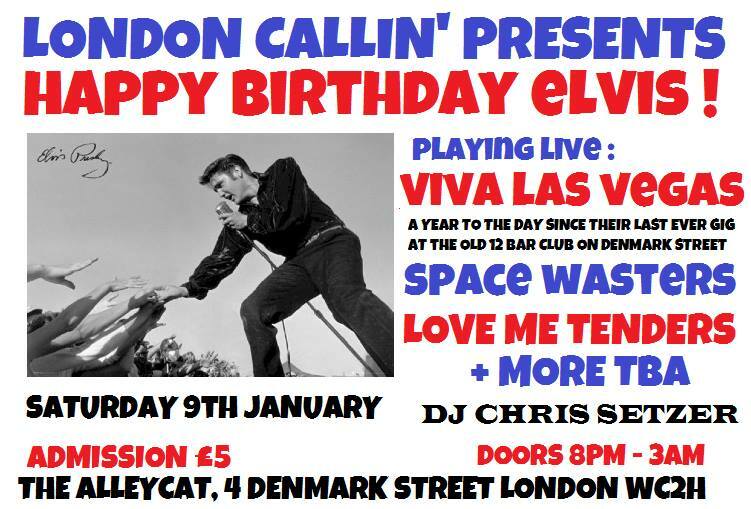 London Callin’ presents a Happy Birthday Elvis Shindig – exactly a year to the day that we last hosted at The Old 12 Bar Club on Denmark Street.